This service was founded by Lauren Dengel and Jackie Bardelli to be a place that women could feel comfortable and could come to have all of their natural beauty brought out. The reviews from previous brides always mention that Salon For Women strives to make the entire process as stress-free and as enjoyable as possible. They now have a location in Nebraska as well as San Diego so you will be able to have all of the seemingly permanent makeup options and incredible hair styling for your wedding. When you want to look your absolute best on your wedding day you shouldn’t have to travel anywhere or worry about the outcome. Glamour Us are available to brides throughout Omaha and the surrounding area. Kimberly Morris and Krystie Webber are the experts that will bring professional wedding hair and makeup right to your venue on the most important day of your life. Simply viewing the gallery of these artists will have you convinced that they are the right choice for you. 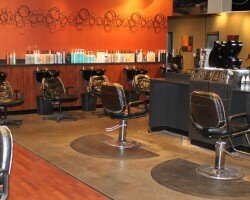 As one of Omaha’s most reputable beauty services there is no reason to go anywhere else than Five Salon. 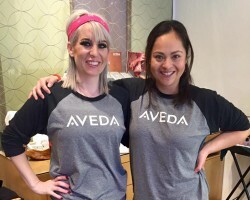 They have achieved this reputation by only ever settling for the very best, including: only ever hiring the most talented artists, only using the finest beauty products, and always putting their clients first. The main focus of this team is styling hair but they also provide expert bridal makeup, so you only have to visit this one salon before your ceremony. Panaché Salon & Day Spa is so much more than a highly talented makeup artist in Omaha, NE. This service provides brides with the full spa treatment including tanning, a nail salon and hairdressing. For those future-brides that want so much more than an average service but also want the prices to remain affordable, Panaché Salon & Day Spa is the perfect location to get ready for your special day. 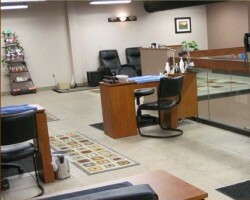 The entire team will be on hand to enhance all of your natural beauty and to make you look extra stunning. Troy Crawford founded One Drake Place having worked in the beauty industry for fifteen years. Now it is a decade later and he has built up a team of some of the best in the business. Starting from only providing clients with hair styling, this salon has now expanded to include everything that you could want for your wedding day. You will be able to find highly recommended Omaha makeup artists at One Drake Place and specialists in nails, waxing, styling and coloring.